Welcome To Six Technologies Inc.
Six Technologies Inc. Spy Store is headquartered in Surrey, Canada. We are a North American and International Spy Store and supplier of spy cameras, high tech security, surveillance cameras, security camera system installations, GPS trackers, wiretap debugging equipment, and electronic spy products. We have the latest in spy and security technologies for your home or business. Our products are used in the field by professional Private Investigators, Government Agencies, and Security Specialists. 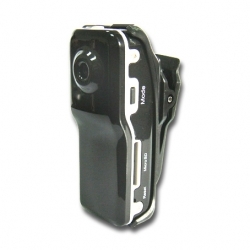 Our Spy Store offers Covert Spy Cameras, Bug Detectors, Nanny Cams, GPS Tracking, Security Cameras, IP Cameras, Digital Mini Voice Recorders, and related electronics. Six Technologies is owned and operated by Licensed Private Investigators, Covert Surveillance & Security Professionals, Camera Technicians, and Alarm Technicians. There are many sites offering spy products online, but at six-tech.com we offer the experience and expertise that you cannot find anywhere else. We are not just offering products for sale, our success is our experience and service. We will work with you to answer your questions to ensure you are supplied the right product to suit your needs.